but one of our groomers, Autumn, wanted to do a de-shed first! Meet Biskit! He is our Pet of the Month for March!! Risk of Ehrlichia species exposure on the rise across portions of U.S. Improved detection confirms significant threat from lone star tick, supports need for year-round tick control in dogs and cats. IDEXX Laboratories recently reported that dogs in the south central and eastern regions of the country are being exposed to a greater number of ticks and tick-borne diseases than once thought, according to a company-issued press release. Researchers with IDEXX compared reference laboratory results conducted in 2011 with current results from one of its SNAP diagnostic tests—also run at the reference laboratory—and found that there was up to a fourfold increase inEhrlichia species exposure this year. Ehrlichia ewingii is transmitted by the lone star tick, and dogs in the southern part of the U.S. have always been at risk for this type of Ehrlichiosis, due to the tick’s overwhelming presence in that region. But even that indigenous tick population is growing, says Little, and now the lone star tick is migrating north into much of the eastern two-thirds of the country. HOW DO WE FIX THIS ISSUE DOCTOR ANDY???? By purchasing Revolution at our office this will not only take care of your fleas and heartworms prevention but it also takes care of the most common ticks. But when you purchase here in the office you are welcome to a free tick collar! Human pharmacists may misinterpret veterinary medication and dosage instructions, agency says. The U.S. Food and Drug Administration (FDA) Center for Veterinary Medicine (CVM) began to examine error reports for veterinary medications in 2008. Now, safety reviewer Linda Kim-Jung of CVM’s Division of Veterinary Product Safety says that the medication errors that occur in the prescription of medicine to pets are similar to those that happen in the treatment of people. According to a release from the FDA, Kim-Jung says errors can start with simple abbreviations—especially now that some clients have their veterinary prescriptions filled at retail pharmacies. Although veterinarians are taught to use abbreviations to save time, abbreviations taught on the human side may be different from those veterinarians use. “Poor penmanship can add to the problem, too,” Kim-Jung says. This can lead to transcription errors at the pharmacy. In its review of error reports, the CVM found that dosing abbreviations are often misread. For example, “s.i.d.” (once daily) has been misinterpreted as “b.i.d.” (twice daily) and “q.i.d.” (four times daily), leading to overdoses. Transcription errors can also occur as a result of misinterpreting abbreviations such as “U” (units) for “0” or “mcg” (microgram) for “mg” (milligram), or when prescriptions are written with leading or trailing zeroes. “A 5-mg dose written with the trailing zero as 5.0 mg can be misread as 50 mg, or a 0.5 mg dose written without the leading zero as .5 mg can easily be mistaken for 5 mg, potentially resulting in a 10-times overdose,” Kim-Jung says. • Completely write out the prescription, including the drug name and dosage regimen. The full dosage regimen includes the dose, frequency, duration and route of administration. • When writing out a dose, do not use a trailing zero and do use a leading zero. • When calling in or writing out a human drug prescription for animals, verbally state or write out the entire prescription, because some pharmacists may be unfamiliar with veterinary abbreviations. • Consider using a computerized prescription system to minimize misinterpretation of handwriting. The CVM also says programs should be considered at the veterinary school level to teach students about the dangers of using abbreviations. Dr. Andy is taking care of a Police dog, “Tuk,” in the hospital today. We are treating him for a medical condition. The Interlachen Animal Hospital family is asking for good thoughts and prayers to help him recover quickly! Positive thoughts means positive outcomes! 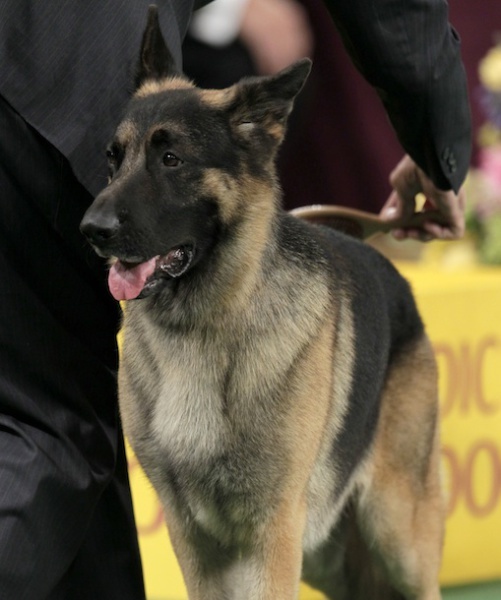 Some trained dogs seem to detect low blood sugar levels. According to a 2000 article in the British Medical Journal, more than one-third of dogs living with diabetic people have been reported to display behavioral changes when their owners’ blood sugar drops, sometimes even before patients themselves were aware of it. In two case studies cited by the paper, the dogs not only detected their owners’ falling glucose levels, they even nudged their owners into eating. It’s unclear how the dogs did it, but it’s possible that they detected minute muscle tremors, or changes in the owners’ scents, according to the study. 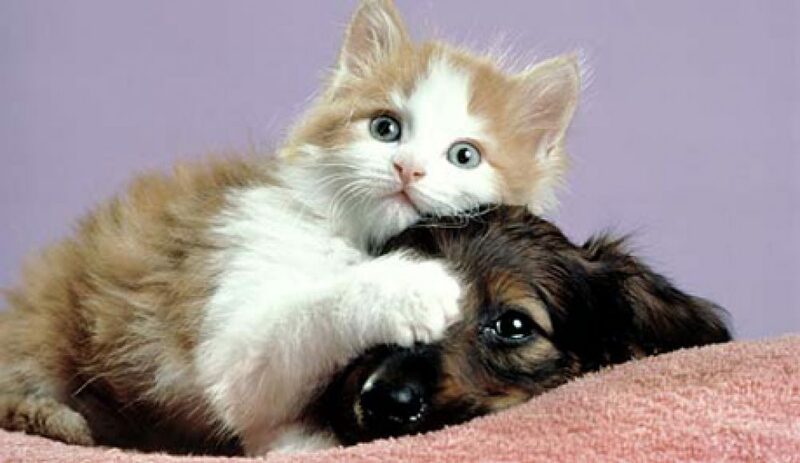 Did you know pets can detect cancer???? Scientific reports of dogs sniffing out cancerous growths go back at least two decades. According to a 1989 case study in The Lancet, a patient reported that her dog would constantly sniff at a mole on her leg, and once even tried to bite the lesion off. Prompted by this, she had her mole checked out and found it to be a malignant melanoma. But dogs are not only good at sniffing out skin cancer, some can also detect bladder, lung, breast, ovarian and colon cancer. In fact, a specially trained eight-year-old black Labrador named Panda correctly detected colorectal cancer in 33 out of 37 samples of people’s breath and stool that scientists had collected. Moreover, according to the article in the journal Gut published this year, Panda appeared to be highly accurate at detecting early-stage colorectal cancer. It’s unclear whether such dogs are zeroing in on some unknown, tumor-related volatile compounds, or more conventional substances in body fluids associated with an increased risk of cancer, such as metabolites of cigarettes, the researchers said. However, in this experiment, Panda identified cancer patients even among body—fluid samples from people with inflammation, a history of smoking, or other diseases. Some guys go for blonds, some go for brunettes and others are into redheads. 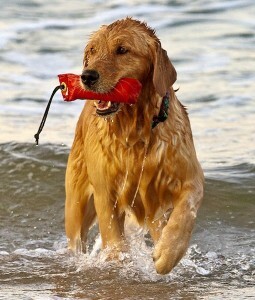 And then there are guys who are attracted to Golden Retrievers. According to a survey of 1,000 people conducted by Kloof (a mobile app for pet lovers) and published in the Miami Herald, when it comes to dating, the top dog breed for women to attract men is the Golden Retriever, followed closely by Labrador Retrievers, Chihuahuas, Poodles and Beagles. What do you think? Are these “best breeds for dating” just stereotypes, or is there some truth in the survey’s observations? Let us know your opinion in the comments below. How Old is Your Dog in People Years????? 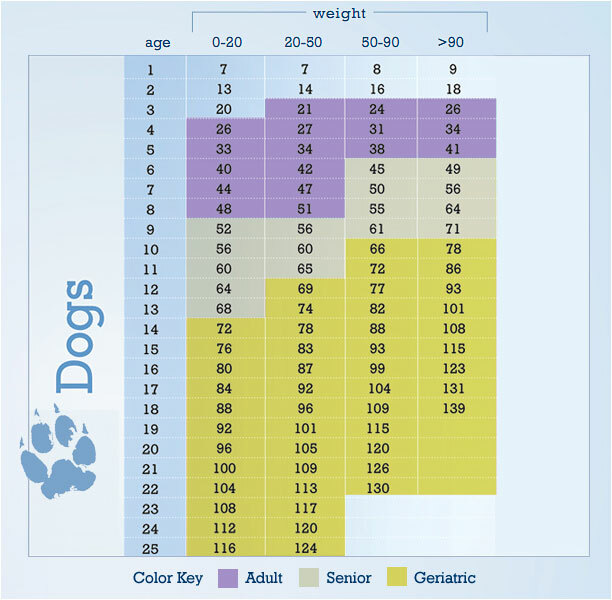 First, identify your pet’s real age using this chart. Then, discuss ways to keep your pet healthy with your veterinarian. Consider a Geriatric Work Up if you are seeing any questionable changes!!! Dr. Andy is always here for your questions! Eventually, every cat owner will have a feline friend decide that the litter box is actually not the best place to do business. All too often, a cat will decide that it’s actually far better to use a discreet corner in your house, or perhaps your favorite shoe, or even the bathroom sink. It might seem like this is a random and meaningless change in behavior; but generally, you’ll probably be able to figure out the cause and get your cat back on track in no time. Why is my cat not using his or her box? Here’s the big question: why do cats, who usually like to be neat and clean about their elimination habits, decide to change? First things first: make sure it’s not medical. There are a number of medical issues that can cause your otherwise well-mannered kitty to boycott his litter box. The first thing you should do, particularly if this bad behavior is unusual for your cat, is see your veterinarian. He or she will likely want to run some simple tests (urine, blood) to ensure that there is nothing wrong with your cat’s kidneys, bladder, or digestive system. A common cause is the instinct to spray or mark, and this is most common among non-neutered males, though it is also something that can happen in females and neutered males. Cats usually mark to lay claim to their territory– especially if there is a female in heat in the area — or as a reaction to stress. In the case of marking, if your cat isn’t neutered, get him neutered. It will often quickly stop inappropriate urination, but also it leads to a healthier and longer-lived cat. Neutered males can’t develop certain kinds of cancer, are less likely to stray, and are often just calmer and easy to live with. You can use non-toxic anti-cat sprays to discourage marking or even use essential oils like peppermint, citrus, and eucalyptus to repel your cat and discourage marking in a particular area. There are also some man-made and synthetic sprays and pheromones you can spray in areas your cat is eliminating that will help reduce stress. You veterinarian can recommend products of this nature. Dirty litter boxes – Cats hate a dirty bathroom as much as we do. You should scoop the box every day, at least once a day, removing any solid waste. If you use clumping litter, remove those clumps of urine every day, as well. Change the box as often as required to keep it clean and to ensure that cat litter can do its job of absorbing moisture and bad odors. Litter box over-crowding – Cats don’t like to share their boxes with too many other cats. Ideally, each cat in your house should have his own litter box. While they may not exclusively use their personal litter box, it’s a good rule to follow to ensure that every cat feels like he has ample space to do business. 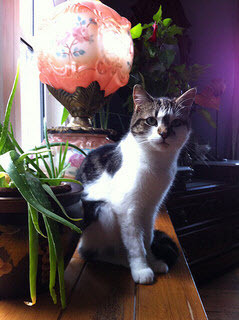 Bad litter box feng shui – Yes, believe it or not, cats do care about where their litter boxes are located. Because the act of using the litter box leaves a cat temporarily vulnerable, they don’t like to feel as though they can be cornered or snuck up on when their relieving themselves. Also, cats like a little privacy, so having their box in the middle of a busy place in your house isn’t a good idea. Litter type – Cats can be picky about what kind of litter they like. They might think one kind is too rough on their feet or not like the smell of another. Experiment with different types of litter if you think that might be the problem. When a particular kind of litter works, don’t switch! If you have to switch, do it gradually. Cats are generally wary of anything new and might boycott the box just because of that. Cats have incredibly strong powers of smell (not as strong as a dog, but many times more powerful than humans). Normal household cleaners will not remove the smell or urine or feces. You will need to use special enzymatic cleaners to get the (awful) odor out of carpet, upholstery, wood floors, and anything else that your cat’s waste might touch. The odor from the urine of an non-neutered male is particularly difficult to get out of many materials (another reason to get your kitty neutered!). Your veterinarian can recommend the best product for you. Stay Calm and Patient and Show Lots of Love. While it’s easy to let a problem like this get you really frustrated with your kitty, don’t let it get to you. If you get stressed or angry, it will cause your cat to feel the same way. Cats don’t do this to be bad, they just react to something that makes them break rules that they are normally happy to follow. And remember, your veterinarian is always your best partner in helping with your pet’s behavior issues.